Ah…the little gem that is the book blurb (or book synopsis/summary). It can be a total pain to write, especially if you’re the author and are expected to write it yourself. Not everyone has a great editing/publishing team behind him/her to write the inescapable book blurb, but I promise you that with some practice—and my guidance—writing a compelling book blurb doesn’t have to be very painful. As an aside, I really don’t care what everyone else says about book blurbs—though I’ve included a link to a post about blurbs below. I think that when we get too caught up in the opinions of others, we get sidelined and confused. That being said, as a trained copywriter, former marketer, and someone who has been writing quite a few book blurbs this year, I’ve come to understand what does and doesn’t work in regards to writing a “hooky” summary for a book. Let’s begin, shall we? Here are my 3 tips, and then I’ll give you some actual structure so you can create your own blurb. Writing a book blurb in present tense (which is standard practice, by the way) gives the reader a sense of urgency AND puts him/her right there with the story. It doesn’t matter if you have written a book in past tense; you MUST write your blurb in present! Don’t switch the tense, and try to avoid first person pronouns. I’m sure it can be effective to do so once in a while, but the ones I’ve read that are styled in that way just make me cringe. Please don’t make me cringe. Do you know what a log line is? It’s typically the one-liner for a movie, or even your book’s “elevator pitch.” Nowadays, you can think of it as the tweet-sized summary of your book. When you start writing a blurb with a log line in mind, you can build from there. After you’re satisfied with your log line, write a few more sentences (or bullet points, if you prefer). In my opinion, 4-5 sentences are great for your book’s summary, but sometimes less OR more is needed. Proceed with caution and test it out on others as you revise. If you write too many sentences, you’ll need to take out your editing cutting board and chop the heck out of the blurb until all the excess junk is gone. WHAT, exactly, makes me want to read your book? Don’t tell me the obvious. When you do so, you make me feel like an idiot, and I’m actually a very smart person. Give me a few details while giving me the overall arc of the story. Make me want MORE from you. Make me want to wrap myself like a burrito in a fleece blanket next to a blazing fireplace while holding onto your book for dear life, eager to turn page after page. That, my dear writer, is what your book’s life goal should be. And please don’t give away the ending! 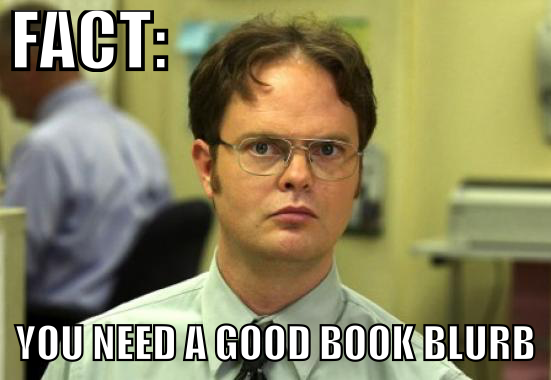 But, Teacher, How Do I Actually Write The Book Blurb? So, now that you know the top 3 things to take into account, how do you actually write the bloody thing? Take your points and make them full sentences. Then, play around with order. You may find the final sentence would actually be better placed at the beginning. Though the whole blurb will be in present tense, thus already making it have a level of urgency, be intentional about conveying a sense of urgency in every sentence. You can do this by remembering what most of us were taught in elementary English class essay structure: use the proverbial “attention getter.” Sometimes, I like to use a question to garner the interest of potential readers. If they have a question that they want to find the answer to, chances are they’ll pick up your book to find out. When you have some strong, clear, and concise sentences, string them together to see if they make sense. Then, edit the crap out of them until you are ready to let someone else (or a few someone elses) look over it for you. Of course, before testing it out on others, check your spelling and grammar. If you’re lucky enough to know someone in marketing and/or advertising, ask if they’ll take a look at it for you. OR if you know a copywriter, and they’re willing to read it, send it their way! Until you become more accustomed to writing blurbs with ease, I’m afraid that the best thing to do is keep practicing over and over. Also, take note of blurbs you think are great. Study them, analyze them, deconstruct and reconstruct them. It’s taken me a few years to become decent at writing blurbs, but I would never call myself a “master.” Yes, I have a natural affinity for the written word, but I still have to practice to make even writing a blog post look easy. But, if you want to think I’m just naturally brilliant, well, hey…who am I to stop you? Three remarkable women are faced with challenges concerning their faith, love, and friendships. Jasmine is a wealthy doctor who is the head of her own medical practice, and she is happily married. Topper is single and promiscuous. She is determined to have all of the finer things in life, at any price. Life suddenly changes when her 17-year-old daughter wants to live with her. Monica is a successful educator at an exclusive private school, is married, and has a teenage daughter who struggles with a healthy self-image. Throughout the story, the ladies learn that they can conquer any circumstance through the love of God and the support of one another. Is it really possible to have it all? Jasmine is a happily married, wealthy doctor, who is the head of her own medical practice. 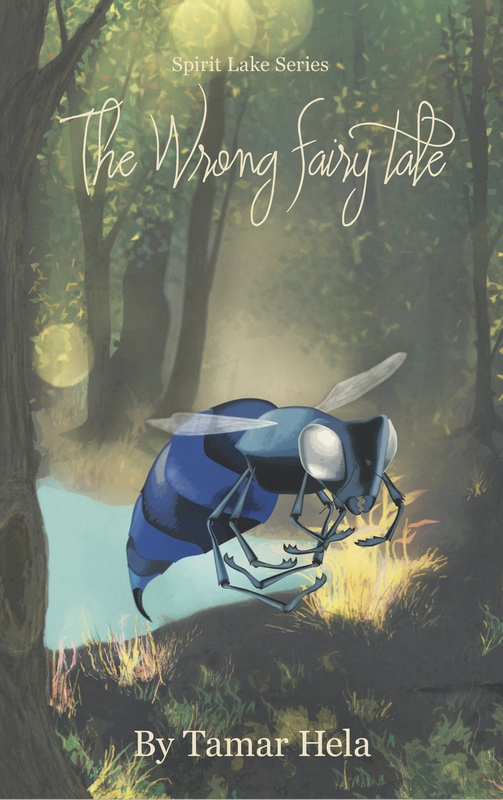 But when her Yale honor student daughter starts to develop mysterious mood swings and a nonchalant attitude about maintaining good grades, Jasmine’s perfect little world comes crashing down as she tries to hold her family together. Topper, an extremely gifted makeup artist who struggles with alcohol abuse and promiscuity, is about to get everything she wants. She is determined to have the finer things in life—at any price—but her dreams come to a sudden halt when her estranged 17-year-old daughter wants to come live with her. Monica, a successful educator at an exclusive private school, seems to have the perfect relationship with her husband who treats her like a queen. But their teenage daughter struggles with a healthy self-image, and is harboring a dark secret under the guise of binge eating. As the women face painful challenges and unexpected life lessons, they learn what it really means to rely on God—and a deep bond of friendship—in order to find their happy ending. The revision was a bit longer than I usually prefer, but, hey…sometimes that happens. Notice how I began with a question and didn’t give away the ending. THAT’S what you should be aiming for. Did you like what you read? Do you think I could work some magic for you? HIRE ME so I can buy myself chocolate, because my friends don’t! You can HIRE ME by contacting me HERE. 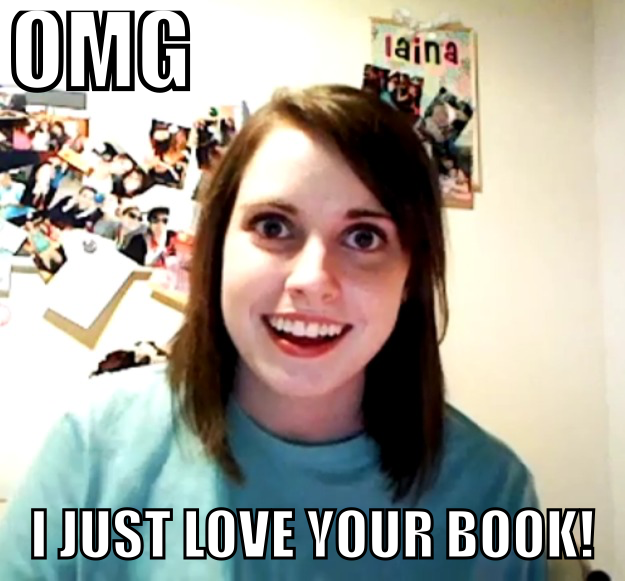 And, if you have something to add to the conversation about writing book blurbs, leave a comment below. 🙂 Unless you’re a spammy bot, that is. I’ve been writing consistently for over five years now. I am just about to release my second book and am currently writing two more books, hoping to release them this year or early next year. And now, with my writing/editing/publishing business, I’ve been publishing clients for almost a year now—which, by publishing, I mean that I provide self-editing services similar to how my own books are published. It’s a lot of work, and it takes a team of people, but it’s fun and I’m passionate about what I do for a living. Step 1: Write the story. This is the “duh” part. Obviously, you need to write a story first to make anything happen. However, the “how” part in this step is different for everyone. I outline every book I write, but I don’t stick to it religiously. Sometimes, I’m very organic about the flow of my story, and sometimes I need to free write in my journal to help shape the next parts of the story. I’ve read about other writers who LOVE their outline, and about others who are more free-spirited with their writing—like me. My first book, second edition. 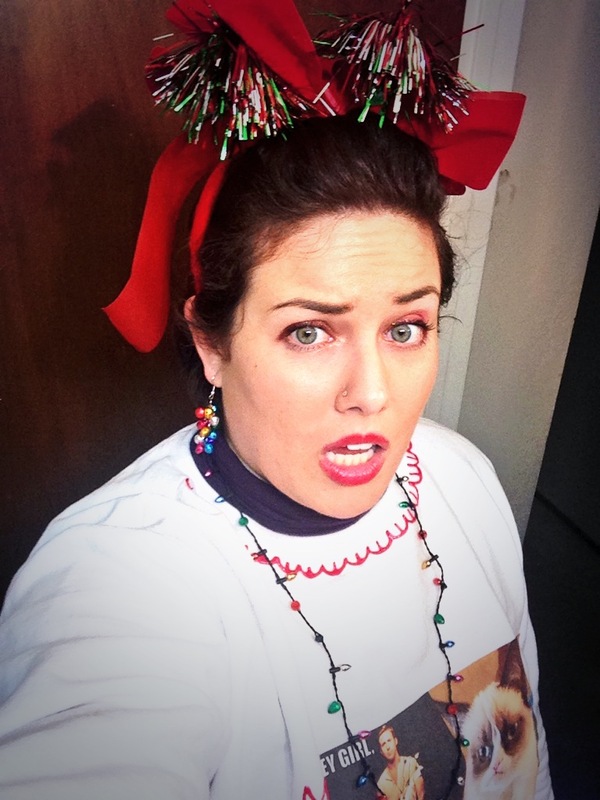 Step 2: Blog some teasers. The more you grow your readership, the more important it is to keep up with fans and share some previews/snippets of your work. I admit that I’m not always the best at this, especially because I run a business AND have to figure out how to squeeze in my stuff every day. But, I have been sharing more teasers for my soon-to-be-released book, compared to my first book. Posting teasers, etc., starts building up the hype for your book and (hopefully) gets people excited about the new “baby” you are creating. Step 3: Design a great cover. Let’s be real: visuals are everything, especially nowadays. 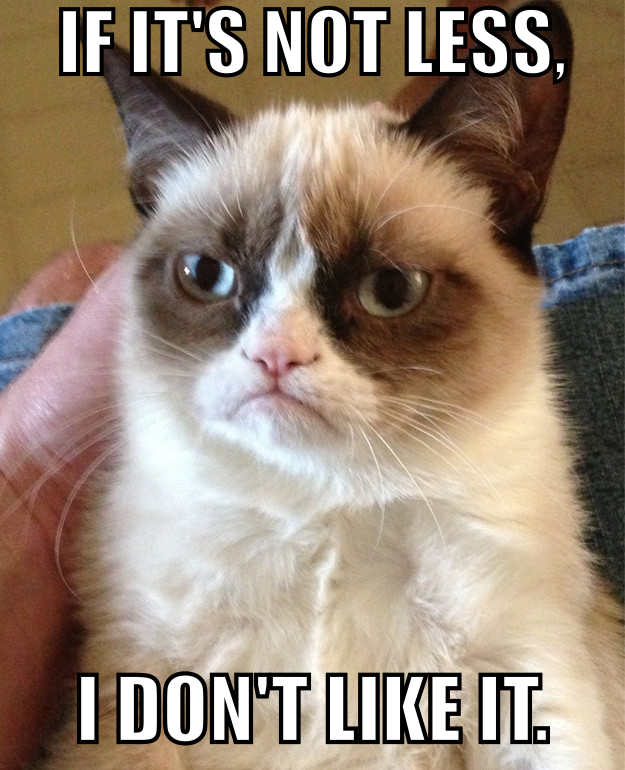 Luckily, I have a great group of designers who help me with my projects–personal and business. For my second book’s cover, I hired an amazing designer, Andrew Beach, who made my ideas come to life. Though I’m an artist and can draw, I could not tell you the first thing about digital graphic design. So, even while the story is still developing, I have my designer begin to build the cover. You can see book two’s cover at the end of this post. Step 4: Self-edit, revise, rewrite. When I wrote my first book, it took me longer to write than my second. This is often true of most writers, but for various reasons. Part of what kept adding to my delay was self-editing ALL the time. After five years, I’ve learned to stop being so meticulous as I’m writing the book, and to save self-editing for AFTER the book is finished. But, again, I want to reiterate that this might not work for everyone. It works for me, and if you’re still figuring out the best methods for yourself, try the editing and rewriting after the fact. Step 5: Send to MY editor upon completion. Yes, I’m an editor, and YES—I most definitely need an editor for my books. An editor who is NOT moi. Why? Because we are all biased when it comes to our babies. It is imperative to have another pair of eyes and an objective opinion for your stuff. Fortunately, I have an incredible editor who does an amazing job with my books. 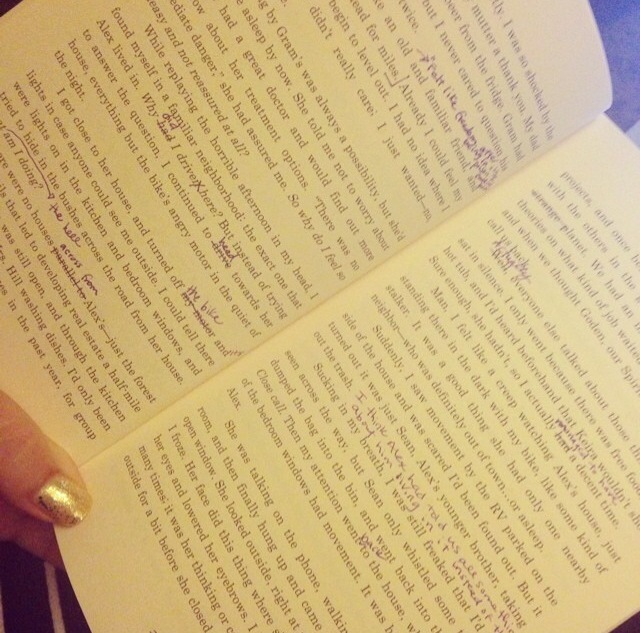 I send her either a full print out of my book OR a Word file (I write everything in Word) so she can make edits. Notes from my editor for my first book. Step 6: Print a “preview” proof. I use CreateSpace as my printer/distributer. Yes, my books are published through a small publishing firm, but we all function as indie authors, and are hands on in the entire process. It’s a lot of work, but I’ve learned so much and am happy with the arrangement between my publisher and I. For my new book, my publisher suggested I print a preview proof copy—which means that I printed a paperback version of my book while it was being edited by my editor. I was able to make even more notes/edits and catch things that were hard to see in the Word document. Then, when I finished going through the entire book, I added my changes and revisions while waiting to receive the Word document back from my editor. 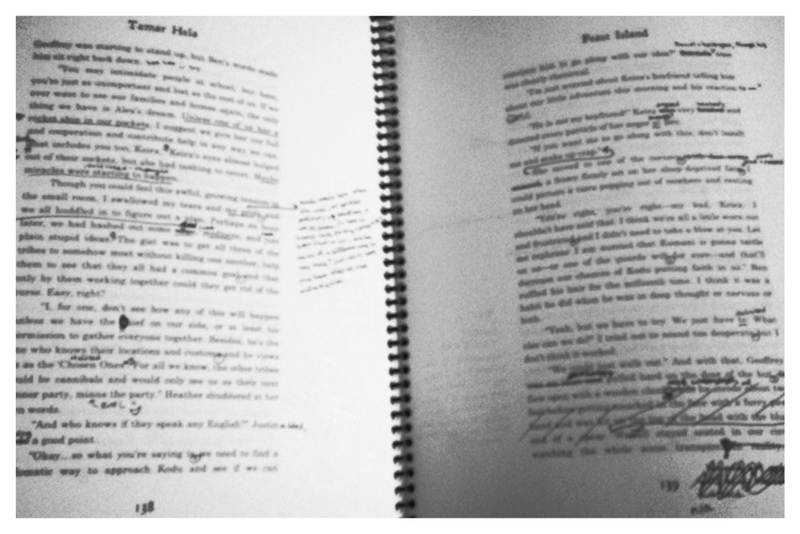 MY edits in my book proof. Step 7: Go through editor’s edits. Step 8: Send edited book to publisher. My publisher also goes through my book—several times, actually. Again, having another set of eyes on my book is crucial. It’s also crucial to have a highly polished manuscript since I represent the publishing firm with my work. I go through my publisher’s notes before printing a second proof. Step 9: Print second proof. This is an important step. Even if you think you have caught every mistake in the manuscript, it’s vital to go through another physical proof. Why? Because we’re all human, and we all make mistakes—especially when we think things are perfect. My book proof (book 2). After I receive the second proof, I hand out copies to my editor, publisher, and other English language savvy peeps. I then share a Google doc between us and we use it to track other errors in the book—including formatting issues. It can be a tedious process, but if you have a wonderful editor like I do, it’s less painful. During this process, I may also send an electronic ARC (Advanced Reader’s Copy) to my beta readers and I take their notes/reactions into consideration. Step 11: Last things before publishing. 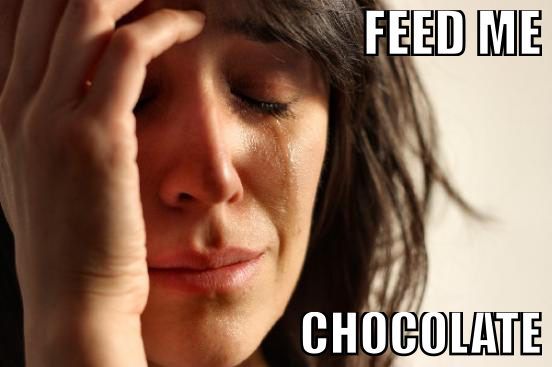 When you hit the “publish” button, it’s really exciting for a good five minutes, and then you get back to work. The process is never ending when you’re a writer, and that’s the plain truth. After the paperback is ready, I start on the ebook conversion process. This has taken me a while to learn, and someday, I’ll post THAT process. When the ebook is converted, I check the proof for that as well, and then publish to KDP when it’s ready. When the big things are finished, I then create samples of my work. 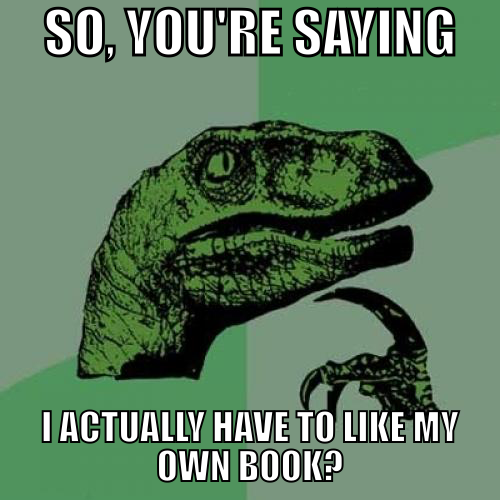 For example, you can upload a preview of your book to Goodreads and your website, etc. I usually include the first five chapters of my book and convert it to a PDF file. 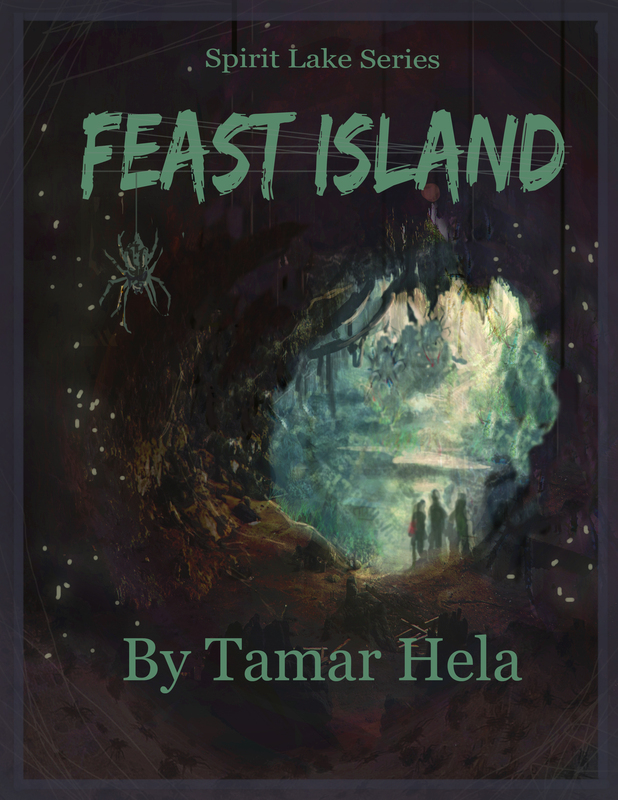 (Click for a sample PDF of Feast Island> Feast Island 2nd Edition SAMPLE) I also make a PDF review copy and put text in the beginning, indicating that it’s a review copy, not to be distributed illegally, etc. I also make sure I revamp my website a bit at this point, in order to reflect the new release. You can secure a copyright from the United States Copyright Office to protect your work. It’s a fairly “easy” process, and you can probably expect to get your official certificate in 4-6 months. That’s as easy as I can break things down. I promise to elaborate more on this process later, with future blog posts. And, like I said: it never ends! You are always working when you’re a creative. Always thinking of something new. But the most important thing is that it truly does take a team to make your book happen. Without my trusted editors, readers, and fans, there’d be nothing. The best thing you can do after you write a book is to find your trusted team members to make your dreams a reality. Be very picky about whom you choose, and if it doesn’t work out with someone, protect your “baby” by finding someone else who is better suited for you and your vision. Don’t be afraid to speak up if something needs to change, but be open to new ideas. As time goes on, you’ll find what does and doesn’t work for you. 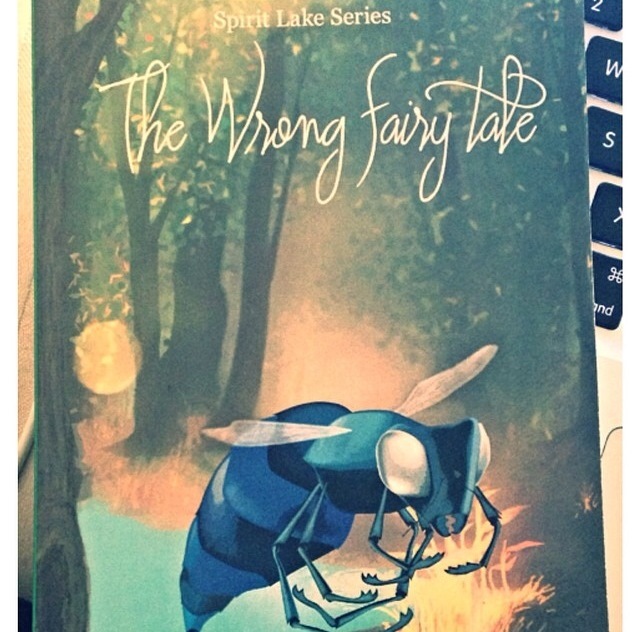 If you haven’t seen the cover of my upcoming release, The Wrong Fairy Tale, here it is in all of it’s glory. I’ll be sure to let you all know when it’s on the market and available for purchase. Almost there!